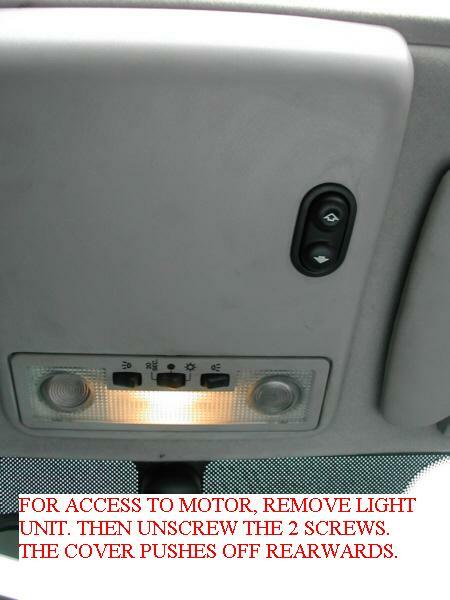 Maintaining the sunroof motor and control cables. 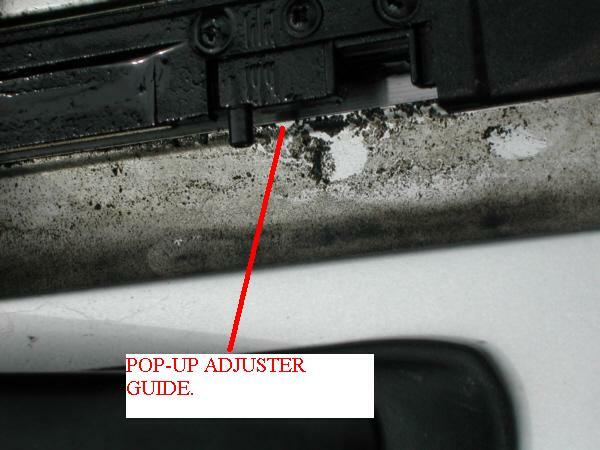 About a month ago, my sunroof stopped working. In the previous 2 weeks, it began to work noticeably slower. Knowing about the issue of the plastic coupling, I got the spray grease out. I carefully sprayed all the guide rails and thought that would do it. Unfortunately, that wasn’t the case. Eventually it stopped altogether with a grinding noise. 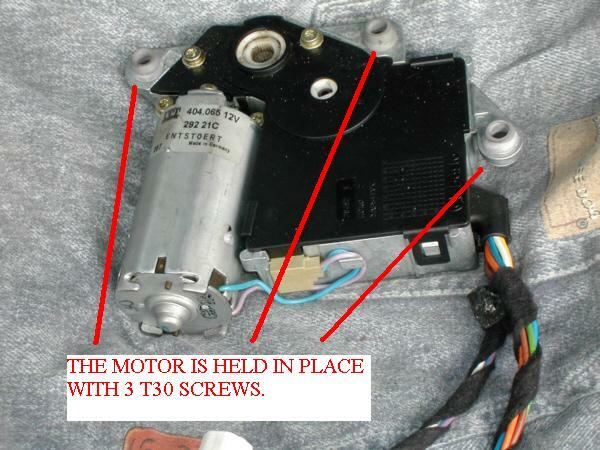 I stripped out my motor to discover the teeth were worn; new motor required. I managed to acquire a replacement motor from a fellow member. This was dropped of to me at the Harewood House meeting. Just a case of fitting it, or so I thought! I fitted the motor and nothing. Still not working. What else could be wrong? Something seemed to be jamming on the driver’s side. With lots of help from Geoff W, we managed to get the roof open. He then pointed what was wrong! I had greased everything else but the control cables! Having them pointed out, I can see why I missed them. 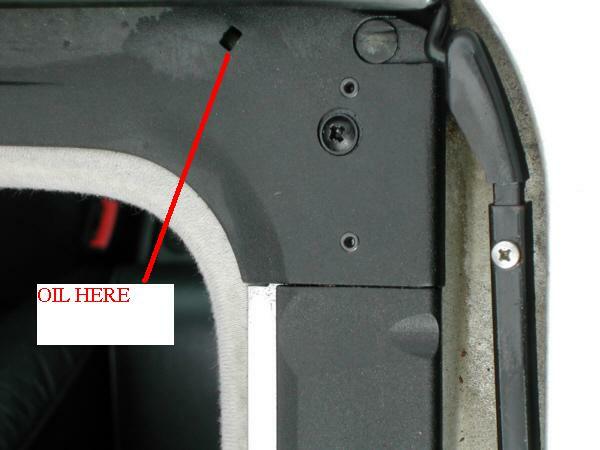 They seem to be wrapped in a felt type material, similar to the sunroof seal. 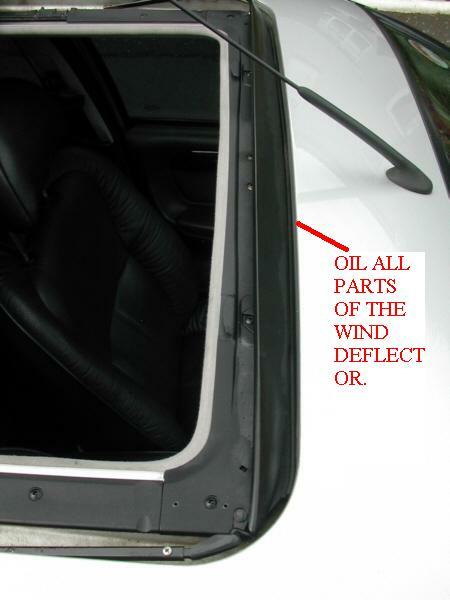 These need to well lubricated to allow the sunroof to function properly. Out again with the spray grease. After working it in by moving the roof forwards and back, we then checked the full range of movement. All working correctly! Job well done! 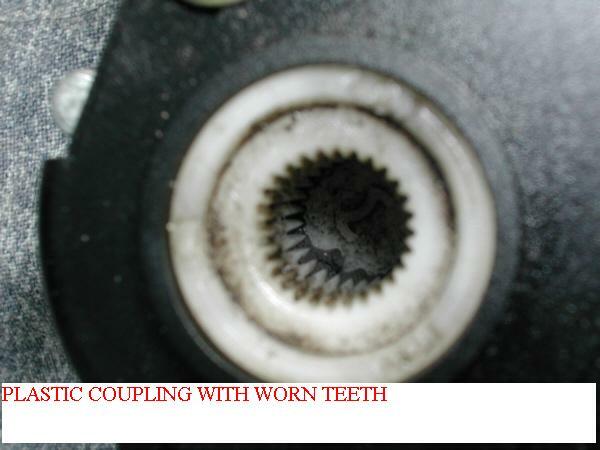 If the sunroof jams in place, the motor strips out the teeth in this plastic coupling. 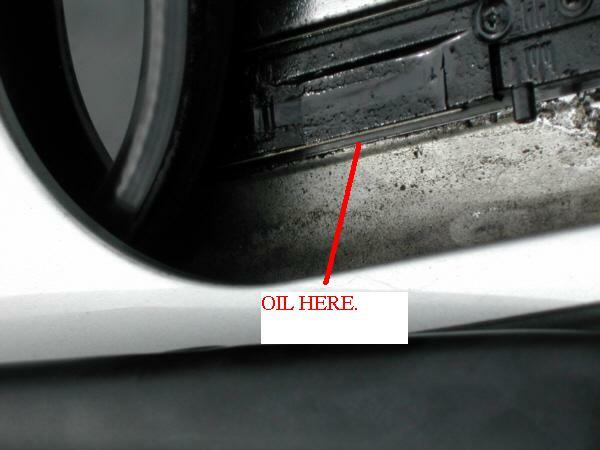 Oil the control cable to prevent jamming. This hole is an oiler for the cable mechanism. The only way to deal with the sunroof jammed in place is to tilt it first. 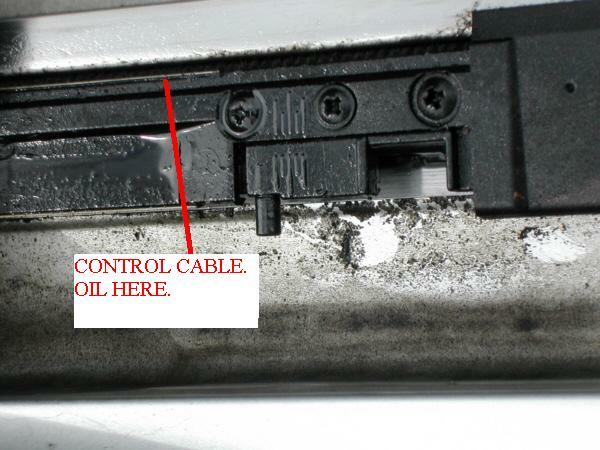 Then, being careful of the headlining, spray in some grease to the control cables from the inside of the car. The cables will be at the front sides of the tilt (closed part) about 3mm in. Then close the sunroof and try to get the roof to slide back as far as it will go, then remove the motor as this is the biggest drag. Using 2 people (it's easier) force the sunroof back, then grease everything as above. Refit the motor and work in the grease. WARNING! this method worked for me - you take the risk on your own car. The roof has to be open fully to be able to remove the whole mechanism anyway. Many thanks to Geoff W for his assistance.